The Vampire Diaries is really trying with Lily. They tried her as the mysterious mother figure who returned to Stefan and Damon’s life and shook up their worldview. They tried her as the slightly off-balance antagonist who had to be stopped before she went too far. They tried her as the villain who wants to reform and reconnect with her sons. They tried her as the woman obsessed with her long lost love who will do anything to get him back. Now they’re trying her as the woman who has a pattern of being abused and now wants to break the cycle. It’s a lot of trying in a fairly short period of time, and frankly none of it is quite working. It’s not clear whether it’s the writing, the performance, or a combination of the two, but everything about Lily feels continuously stagnant, no matter how much the show twists and turns around her in order to attempt to make her feel like a dynamic, essential presence. Lily’s story gets its biggest showcase to date in “Mommie Dearest,” where it is revealed just how abusive Giuseppe was to his family and just how hard she tried to get Stefan and Damon away from him. TVD’s history with abuse is a pretty tricky one, so watching it get used here as a way to garner sympathy for Lily—both with the audience and with Stefan and Damon—doesn’t sit quite right. 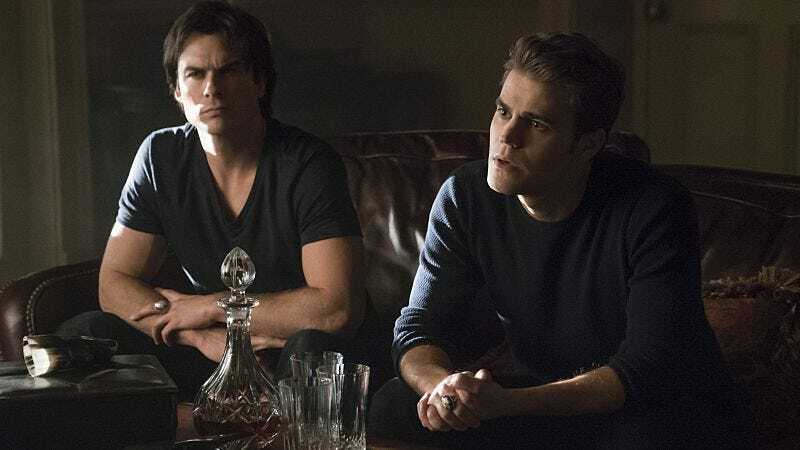 It almost seems as if the abuse reveal isn’t even the point of the story, and is more about getting Stefan, Damon, and Lily to a place where they are finally all aligned. Stefan’s goal was to get Lily to agree that Julian needed to die, and by the final scene, she’s made that connection. Part of my apprehension is that while we’ve heard a lot about how Julian is a horrible sadist, we haven’t seen him do enough damage firsthand to make him feel like more than a nuisance. (Also, this season could really use a strong bad guy so any evil he does do feels welcome.) Stefan’s whole quest started out to be about revenge, but shifted into something murkier here, mostly because we have very little idea of what Stefan’s feelings are toward is mother. Does he want to free her of Julian’s evil presence and then build a relationship with her? His anger at Damon’s willingness to kill Lily obviously hints that there’s more to Stefan’s feelings, but the whole thing is so under baked that it just ends up being mushy. Elsewhere, the other big story is also a bit mushy, as Caroline and Ric try to figure out if she is really magically pregnant with his assumed-dead babies. This is the type of story that requires an open mind the size of the Grand Canyon, and there isn’t enough in this episode to determine yet if the story is on the right track. Essentially, after dropping the big bomb in the last episode, this one is all about figuring out if it is even possible Caroline could be pregnant. Caroline and Ric spend the episode trying to figure out if she is—taking drug store pregnancy tests and even getting an ultrasound—and it’s only when Valerie figures out the babies have been cloaked by magic that they find out it is really true. This is a story that has tremendous possibilities for what it could bring out in Caroline as a character if handled carefully, but is still only just beginning. The one thing about this season that’s starting to get a bit tiresome are the future moments at the beginning of each episode. Not that they’re bad; quite the opposite. It’s that they are consistently the most interesting thing about every episode, and yet they are so short and perfunctory that it’s starting to seem like the show is only giving us these quick bursts of story because there simply isn’t that much story to tell. It’s like we’re all in Oz and these moments are the great and powerful wizard begging us not to look at the man behind the curtain. Please don’t let three years from now be all smoke and mirrors, because it’s just the injection of energy this season desperately needs. 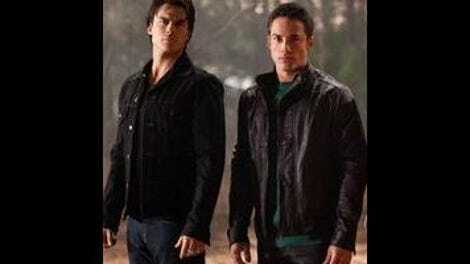 The story of the compelled humans being stashed in Mystic Falls is so strangely paced. It’s obviously building to something bigger but it feels like a weird afterthought and doesn’t make much sense right now. Bonnie and Enzo still have great chemistry, so despite how obvious it is that the show is forcing their big love story on us, I’m surprisingly okay with it so far. I am not okay with everything having to do with Enzo and his fight with Julian for Lily. Lily already rejected him, so does he think if he kills the man she actually loves Lily will fall right into his arms? How dumb is Enzo? Ian Somerhalder was very good in the scene where he told Stefan he’s fine if Lily is dead considering how she abandoned them when they were children. A rare moment of actual, tangible emotion in the episode. This Week, In Matt Donovan Is The Best: Matt’s face when he hears Caroline is pregnant; Matt’s disgust with Bonnie every time he hears she’s hanging out with Enzo; Matt calling Jeremy and Tyler for advice. They exist!